Bengaluru: While climate change and environment, and urbanization are focus areas in the economic policy making in India, there is also an opportunity for it to work together with China on the climate agenda, said Dr. Rajat Kathuria, director and chief executive, Indian Council for Research on International Economic Relations (ICRIER). “It was imperative that we recognize that the economic agenda could not be looked at in isolation from both climate change and urbanization. 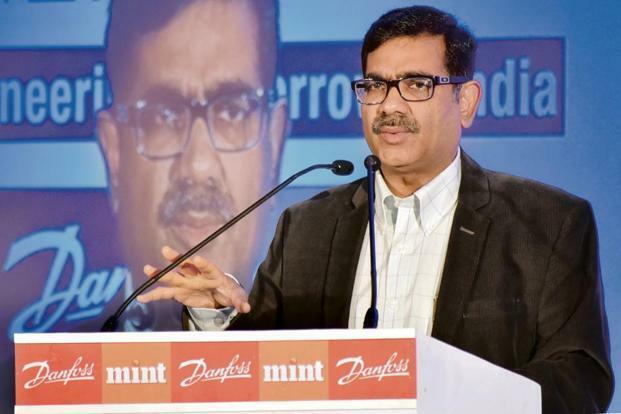 Now, there is a multi-disciplinary approach to economic policy making,” Kathuria said at the Danfoss-Mint annual conclave, Transformation Agenda 2020, on 26 July. “When you look at air pollution, health impact, and the problems that climate change can cause, you would begin to understand that growth can actually happen while addressing your climate goals,” he added. Citing the example of Bengaluru, Kathuria said that firms, which are dumping effluents and sewage into public places and water bodies, are not internalising the costs of what they are imposing on society. There is no incentive for any individual or company to account for those externalities for imposing them on society. “The impacts of climate change are disproportionately felt by not you and me, but by the more vulnerable. The rich, within countries, are much better able to address the problems associated with climate change than the poor. Therefore, for the sake of the vulnerable and poor, we need to address the issue of climate change now,” he said. Kathuria said urbanization and agriculture are two key areas that must be looked at to address climate goals. Urbanization, which came fairly late on the economic agenda, is a given in India today. Given that cities are regions of economic growth, revenue generation, innovation and job creation, rapid urbanization and migration from rural areas will continue. Agriculture, too, plays an important role in sustainability. “Reducing the number of people dependent on agriculture is important. Growing certain crops in some regions adds to the problems. Growing sugarcane in Maharashtra, or rice in Punjab, add to the water stress in the regions. If we continue to misallocate crops geographically, then it’s a problem,” Kathuria added. Speaking on coal, carbon pricing and India’s effort to increase its renewable energy quotient, Kathuria said while coal occupies 60%-65% of India’s primary energy needs, it should look at technologies that help reduce emissions. There could be a lesson or two that India may learn from China, which has taken the bull by the horns as far as climate issues are concerned. “In the current geo-political scenario, can we partner with China and look at clean technology, solar energy? There is an opportunity for India and China to come together and work on the climate agenda given that both countries will be large, incremental users of the carbon space. If we can do that, there could be a breakthrough,” he added.